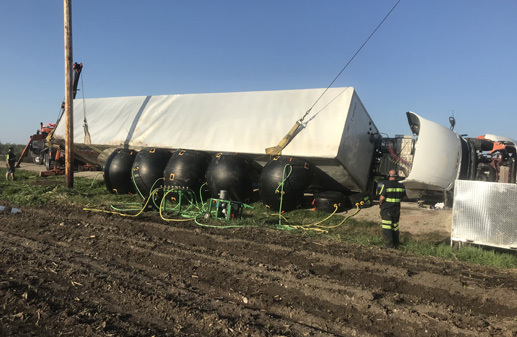 When it comes to heavy-duty towing and recovery, no other operation in Wisconsin can touch the professionalism and expertise of Topel Truck Center. Topel Truck Center has evolved from a small rental space to a spacious Lake Mills headquarters. 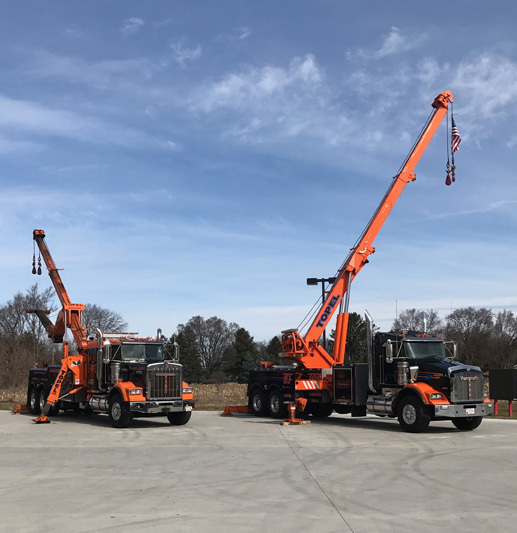 In addition to the Lake Mills facility, Topel Truck Center established a satellite location in Madison to better serve customers. Topel Truck Center is 100 percent dedicated to offering the finest heavy-duty service in the area. Our staff has nearly 130 years of combined experience in the towing and recovery industry. Plus, Shawn and Michelle encourage employees to participate in Towing and Recovery Association of America certification and additional safety training. The company, now celebrating 19 years of service, also believes in giving back to the industry. Topel Truck Center is a member of the Wisconsin Towing Association, in which Shawn previously served as vice chair. Topel Truck Center also is active in the Towing and Recovery Association of America, where Michelle once served as president of the Women of the Towing and Recovery Association of America, chair of the Education Foundation and other boards/committees. Topel Truck Center is a professionally operated company that retains a family touch. The company is family-owned and operated by Shawn and Michelle since 2000. Shawn fell in love with towing at his Uncle Cliff Topel’s shop. Later, the couple bought the heavy-duty portion of Cliff’s towing business. Similarly, Shawn and Michelle’s 25-year-old son Keegan has towing in his blood, and is the third generation to join the business.